You can grow this gift card holder! This gift card holder is cut into the shape of a snowflake and is completely unique! 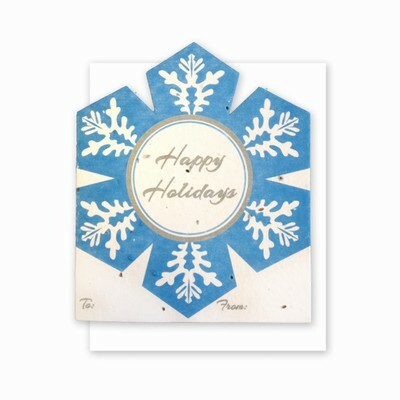 Perfect for adding a personal touch to holiday gift card giving. Available individually or in a package of 4. Includes white recycled envelopes.